Suitelife Vacations, a global leader in the vacation ownership industry, announced it has entered into an agreement with SkyMed International Inc, to provide Suitelife Vacations members with a medical air repatriation services program. 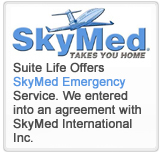 Suitelife Vacations members can now purchase SkyMed emergency services on a per-trip basis rather than having to buy an annual membership. 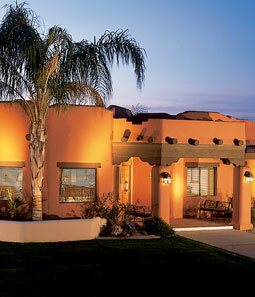 This program is available to North American members who are vacationing at a resort located in North America. Should a Suitelife Vacations member become critically ill or injured while traveling more than 100 miles from their home SkyMed will provide medically equipped air ambulance jet service to transport that member home to his or her trusted health care provider rather than to the nearest medical facility. Suitelife Vacations members who take advantage of the SkyMed service will not have to worry about restrictive HMO and PPO covenants regarding care outside of their jurisdictional boundaries. Suitelife's Senior Vice President of Member Operations, said "While critical illnesses or injuries may seem a rare event when vacationing, they do happen, and it is comforting to know we can now make SkyMed available to our North American members for short-stay trips. It is always best to be prepared, and we are pleased to incorporate the acclaimed SkyMed program as a cost-effective travel option worthy of member consideration." Will Klein, President of SkyMed, said, "We recently used a medically equipped Lear jet to repatriate a timeshare member from St. Maarten to New Jersey. It would have cost the patient $25,000, cash in advance, if he were not a SkyMed member. Instead, his only out-of-pocket cost was his SkyMed membership fee. SkyMed is proud of being called the 'Cadillac' of emergency air membership programs." SkyMed is also the service of choice for numerous recreational vehicle travel clubs including Winnebago, Airstream, Newmar, Monaco, Holiday Rambler, Club Fleetwood and their thousands of members. By calling 1.866.660.3727and identifying themselves as a Suitelife Vacations member, Suitelife Vacations members can learn more about SkyMed, how to apply for membership online, and visit the SkyMed Survivors' link that apprises prospective members of how SkyMed members averted tragic health circumstances and financial calamity.